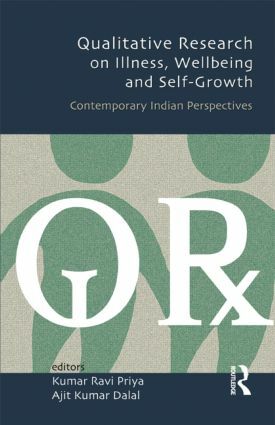 This book examines the theoretical, methodological and practical dimensions of Qualitative Research in the study of illness, wellbeing and self-growth in the Indian context. Using wide-ranging narratives, interviews, group discussions, and cultural analyses, it offers a social and psychological understanding of health and therapy. Kumar Ravi Priya is Associate Professor of Psychology, Department of Humanities and Social Sciences, Indian Institute of Technology Kanpur. Ajit Kumar Dalal is Professor, Department of Psychology, University of Allahabad.